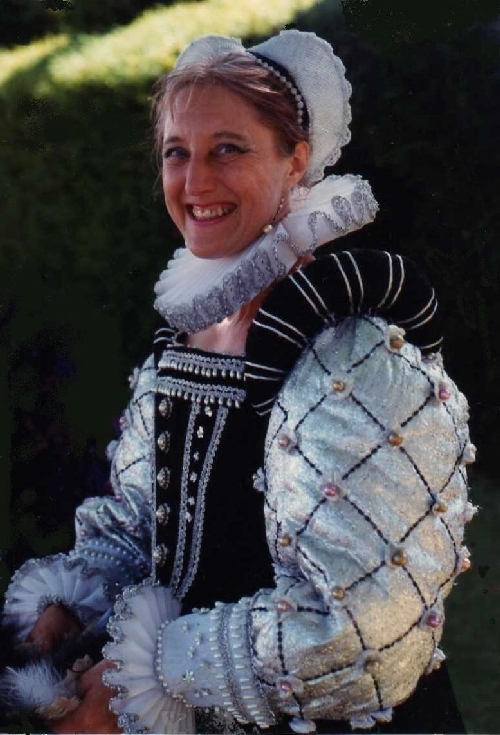 Cathy Greenhill is an experienced dance instructor, who covers 500 years of dance. She teaches dance at the Birmingham School of Acting, is in demand as a performer, and runs many regular courses all over the country Current dance courses that are open to new students include the Warwick Courtiers Class: Alternate Thursdays 7:30pm-9:30pm in Alcester.Ring her on 0121 4495151 for further information. The Warwick Courtiers was formed two decades ago and draws its members come from areas such as Coventry, Birmingham, and South Worcestershire. Taught by Cathy Greenhill, they perform their shows in authentic costume, and their shows range from the 15th to the 20th century. In particular their shows on the Elizabethan court at Christmas as well as their wartime 40s show have been well received by a wide range of audiences. It's never just a series of dances, but a cleverly linked series of scenarios with unifying themes and stories, drama and interaction. 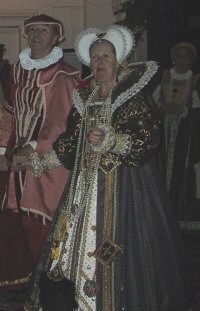 Stratford Renaissance are a group led by Ann Horsley who specialise in Tudor and Playford historical dances. 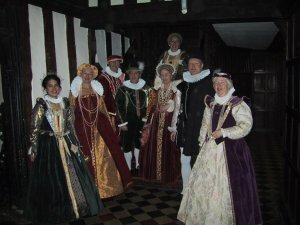 Their performances have been regularly enjoyed at the Bard's Birthday celebrations in Stratford Upon Avon, as well as at historic homes and venues. Barbara Dunn regularly accompanies the group on recorder. They meet on Sunday evenings and have an absolute ball! See video here.